RealTime Gaming’s Keno offers a simplified, yet effective version of Keno that features a black and red background built to entice and deliver fast-paced action. Its easy navigational layout affords the luxury of fast gameplay, bright graphics and a betting range that is both appealing and affordable. RealTime Gaming has put a traditional design to its Keno. As expected, it offers 80 numbers that can be selected, numbers one through eighty, and features twenty balls that are n at random to generate game results. 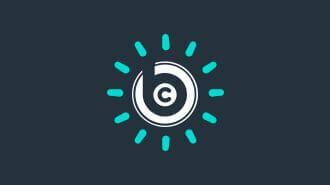 With a broad selection of bets available, it is designed with the player in mind. RealTime Gaming has created the perfect keno environment that is simple, not polluted with unnecessary graphics and splashy animation. Available for both instant and downloadable play, the game can be accessed on mobile devices where offered. RealTime Gaming has chosen to provide standard game rules and payouts for this version and includes easy to read instructions should it be required, or needed for game payout confirmation. HOW TO PLAY Keno RTG? As with most variations of Keno, the primary goal of RTG’s Keno is to select a series of numbers that, when the balls are n, match those chosen. To commence gameplay, players are required first to choose the coin denomination they wish to stake. The range of coin denominations is greater than many other keno games online, with bets starting as low as €0.01 and increase to €10.00. The next step is to select the numbers on the keno board you wish to play, with those available being one through eighty. After the above steps have been completed, players are required to select whether to play a single game, play five games, or play ten. Once chosen, the game will commence and will deal twenty balls. Should these n match any of the numbers (a minimum of two is required to generate a win), you will be awarded the cash prize as denoted under the paytable. Remember, as you have the option to play as few as one number or as many as fifteen, the amount won will be determined by the number of balls matched and the amount showing for the selected matched numbers. The maximum amount that this version offers is 5000 coins or €50,000 if the max bet is played. Option to view the game in full-screen mode, adjust game sounds as well as adjust the speed of the game. You may also opt not to hear the dealer calling out the balls as they are dealt, and can elect to play a single game, five continuous games or play ten games continuously. Bear in mind though, that when playing multiple continuous games, all will be played at the initial wager and that amount cannot be adjusted until the completion of the chosen number of games being played. RealTime Gaming’s Keno is an easy to understand version that is designed to be efficient and allow for easy gameplay. As a popular game for a wide audience, Keno has gone through many a change over the past centuries of its existance – dating all the way back to ancient China – but its popularity is not diminishing. RealTime Gaming decided to create a version with graphics that are as basic as they come, and for a simple reason. Many would argue that it would be nice to see RTG update the look to appeal to a broader spectrum of people who enjoy Keno but the raw nature of this particular version is exactly what sets it apart from the rest. There is little complicated about this version and those that are experienced in Keno, whether online or at a land-based casino, will find its game controls easy to find and just as easy to understand. Black and red background takes you back to good old days of brick-and-mortar casinos and allows you to plunge in that vintage feel that older generation of players yearns for. Players, we need your help with how we should to rank and rate these reviewed casino games. You can help us by rating this game, and if you really enjoyed playing Keno RTG. You can also share it with your friends on Facebook, Twitter and via email. For all freeplay games, if your free credits run out, simply just refresh the page and your balance will be restored. 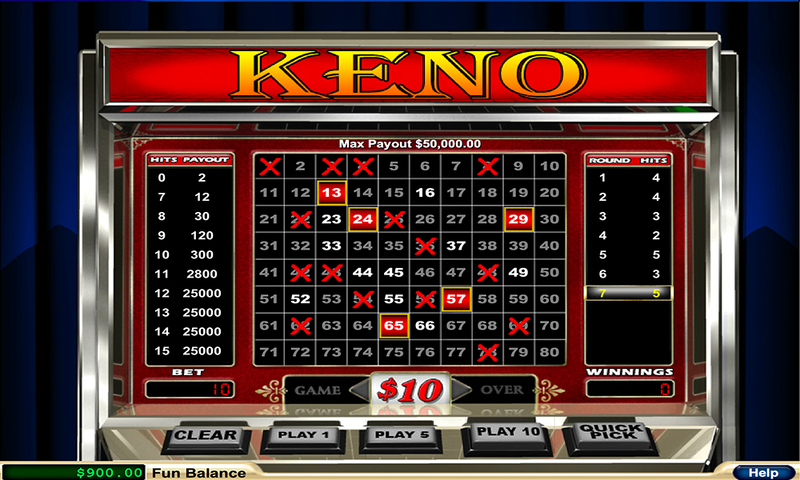 See all of our Keno game reviews where you can play 5 keno games for real money in any of our recommended casino sites.